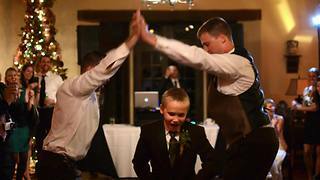 Rumble / Memorable Weddings - No one in this world can love a girl more than his father! A dad is someone who holds you when you cry, scolds you when you break the rules, shines with pride when you succeed and has faith in you even when you fall! This unbreakable bond plays a big part in life! 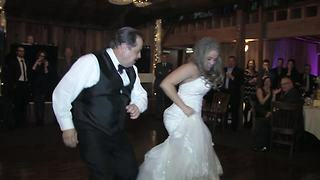 One of the sweetest moments during any wedding has to be the father-daughter dance. This is when the bride and her father make their way to the dance floor and share a special slow dance in front of friends and family. 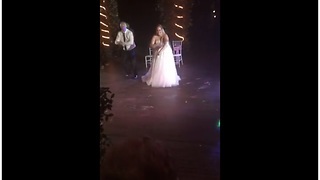 This amazing bride together with her dad performed new and interesting choreography that left everybody speechless! The dancing duo wowed the entire crowd with a series of dance routines. 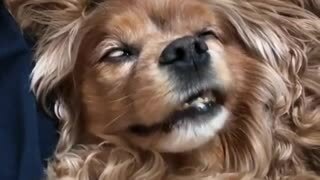 The audience just couldn’t hold in their applause. “It&apos;s like I waited my whole life, for this one night It&apos;s going be me you and the dance floor” are the lyrics of the first song they are dancing to. This is probably one of the saddest but at the same time the proudest moment for both of them! They spiced it off with a great Latino dance and an old school song by Sir Mix A Lot! 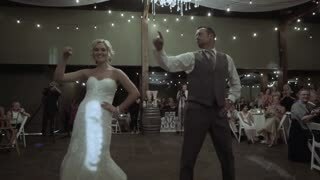 Isn’t this a beautiful wedding dance? 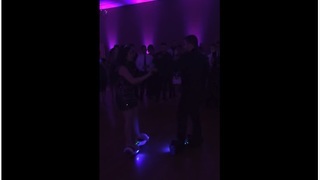 These two hilarious people showed that just because you’re at a “serious” event, that doesn’t mean you can’t switch things up a bit and have some fun!It really doesn’t get much sweeter than this!